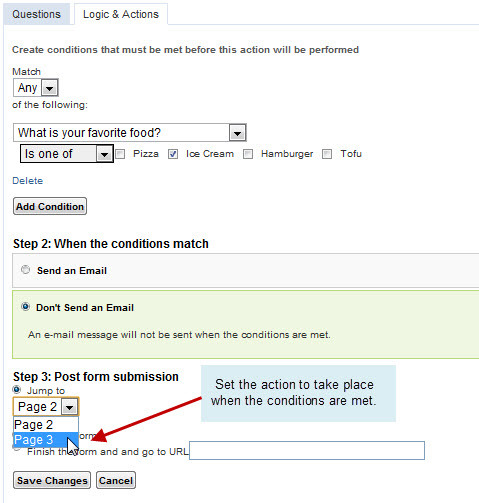 When a page of your survey is submitted, you can specify different "actions" to occur that change depending on the respondents' answers on that page. For example, if you wanted everyone who answered "Yes" to a particular question on Page 1 to skip Page 2 and go directly to Page 3, you could create an action that will allow that to happen. You could also send people to different websites or end the survey depending on their answer to a given question. 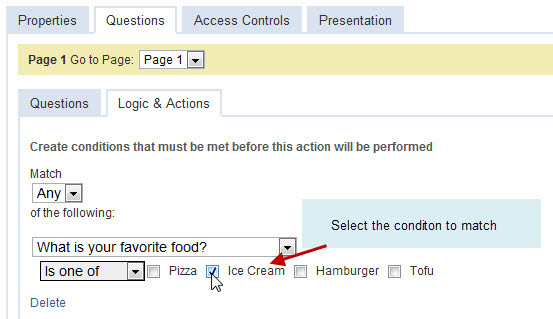 To create an action, define one or more conditions based on the questions you have in your survey. If the answers you receive match the conditions, a defined action takes place. One common action is to jump to a different page. 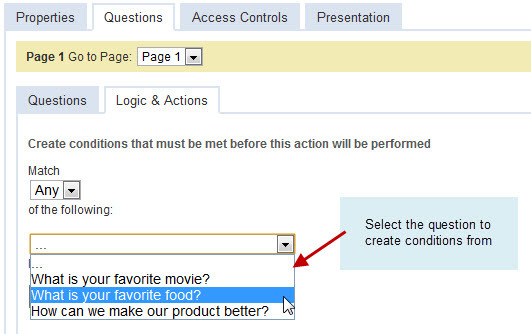 This is called "Skip Logic" because respondents "skip" pages of your survey based on their answers.